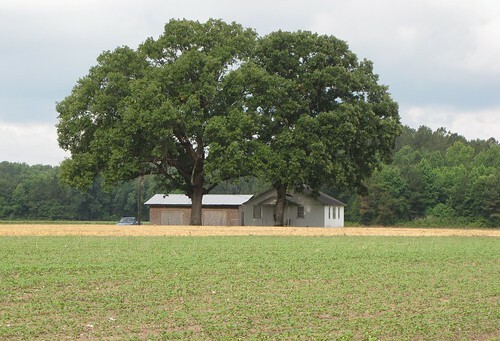 This sharecroppers house is tucked beneath a couple of shade trees. Many of these old homes in North Carolina are now empty. This one appears to be occupied. It is just off Cedar Grove Church Road near exit 31 of Interstate 95 in Robeson County, North Carolina near St. Pauls.